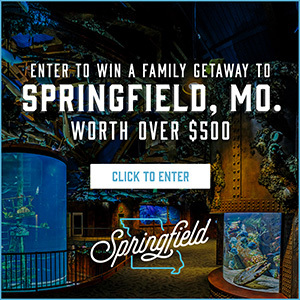 SEDALIA, Mo. -A key state senator says the drought is hurting farmers in his western Missouri district. State Sen. Denny Hoskins, R-Warrensburg, is hopeful about getting a grant to assist drought-impacted farmers. 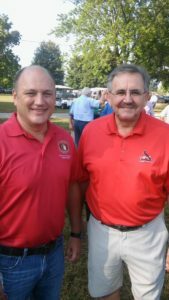 Hoskins is the Missouri Senate Agriculture, Food Production and Outdoor Resources Committee’s vice chairman. 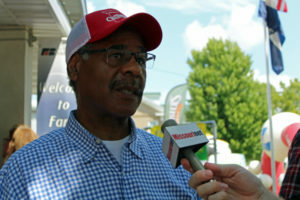 Hoskins met with U.S. Rep. Emanuel Cleaver, D-Kansas City, on Thursday morning at the State Fair in Sedalia to discuss the drought and an effort to get a grant for the water towers. Cleaver, who’s a Senior Whip in the House Democratic Caucus in Washington, tells Missourinet that farmers in his district cannot get water to their cattle, because of the drought. Senator Hoskins says the bipartisan meeting went well. “I know he (Congressman Cleaver) met with some farmers last week in Ray County and we’re just looking at anything we can do to help out our farmers,” says Hoskins. 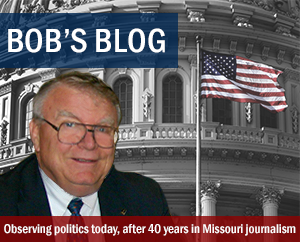 Lafayette, Ray and Saline counties are represented in the Missouri Senate by Hoskins and by Cleaver in Congress. Cleaver and Hoskins emphasize it’s a bipartisan effort. All three counties have a significant agricultural presence. Cleaver, who’s finishing his seventh term on Capitol Hill, confirms he’s written a letter to Governor Mike Parson (R), in support of a community development block grant for the water towers. The drought has also impacted southern Missouri. State Sen. Mike Cunningham, a livestock farmer in Rogersville, says his constituents want it to rain. “I wish I could legislate some for them, I’ve got a farm and boy I just have nothing. 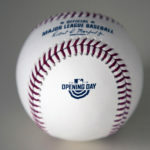 Hay is nothing, it’s just a tough time in the Ozarks right now,” Cunningham says. State Department of Agriculture (MDA) Director Chris Chinn says 98 percent of Missouri has been impacted by the drought. 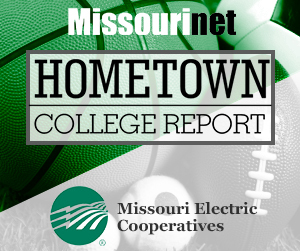 Cleaver, Hoskins, Cunningham and Chinn attended the Governor’s ham breakfast at the State Fair in Sedalia on Thursday. The breakfast was sold out. State Fair marketing director Keri Mergen says all 1,000 meal tickets for the breakfast were sold.